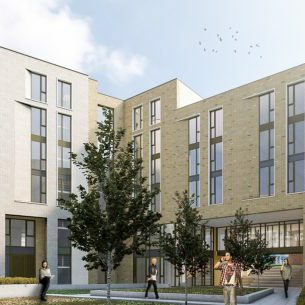 The provision of new student residential accommodation to County and Grizedale Colleges. County College is located to the northern end of the central pedestrian route through the University Campus and the accommodation has been organised to create a new external public space and formal termination of the pedestrian spine. The buildings to Grizedale College create a smaller public space which links into the central pedestrian spine, more intimate, semi private spaces are created off this square. 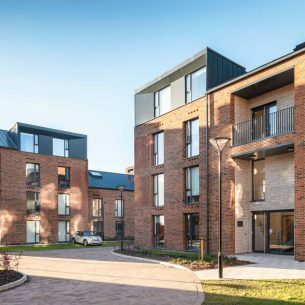 The University established the brief for the accommodation, requiring that it be more sustainable, a lower price point and should provide a better social experience than was provided before. The architectural solution consists of a four storey, twelve person townhouse concept where the whole of the ground floor is given over to social/living space. 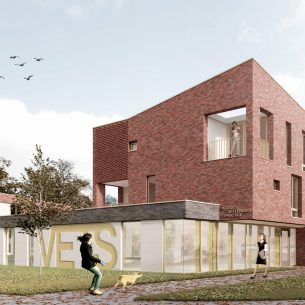 This scheme was the first use of the ‘townhouse’ student residential concept. 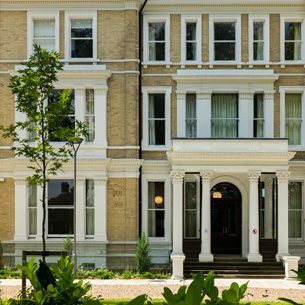 The accommodation is provided in a mix of townhouse and traditional cluster flat accommodation, providing some 780 student bedrooms. Townhouse – Best accommodation – Best Learning Environment National student Housing Survey 2011.